The innovative design and guaranteed functionality of Standard Manufacturings DP12 is well ahead of its time. 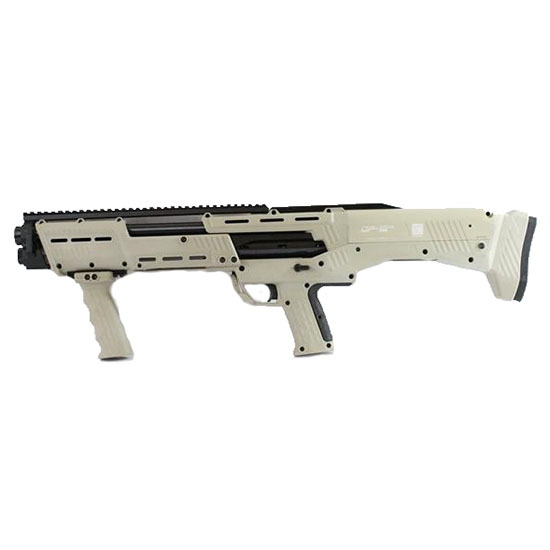 The first of its kind the DP12 is a premium defense doublebarreled pump 12gauge shotgun that quickly fires 16 rounds. Designed for the most discerning shooters who demand extreme firepower and require consistent reliability. The spreader choke tubes are designed to shoot a devastating pattern at 25 yards. The choke tubes have TruChoke thread patterns. The stock has a QR code you can scan with your smartphone or tablet to download the manual and other information.